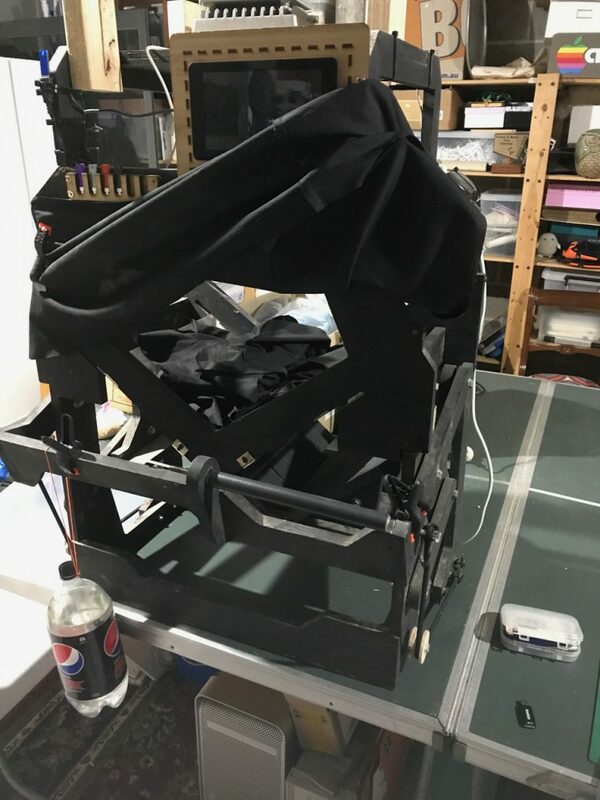 Below are my photos from WOzFest PR#6 and Andrew’s tweeted photos. Jeremy has shared his photos as well. 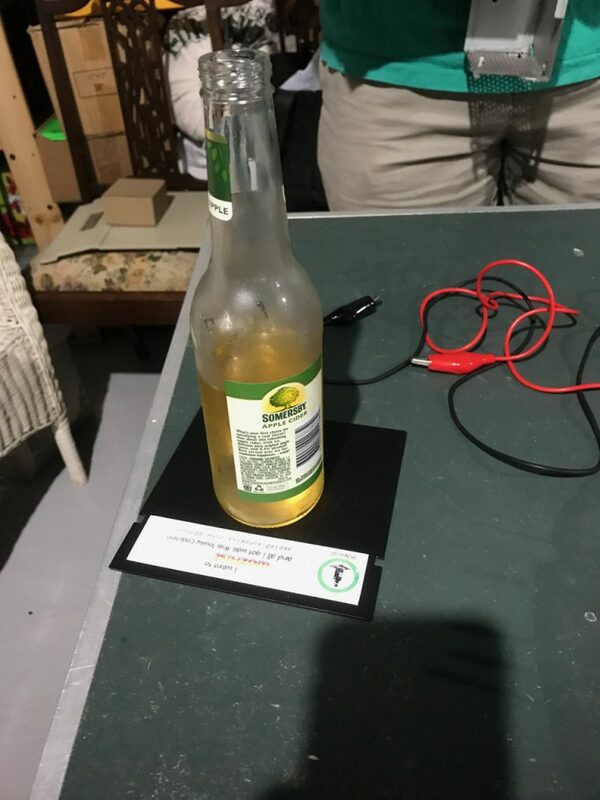 I think WOzFest PR#6 was a great success. As usual, things officially kicked off at midday – Jon (half of Manila Gear and WOzFest regular) was first to arrive just before starting time. 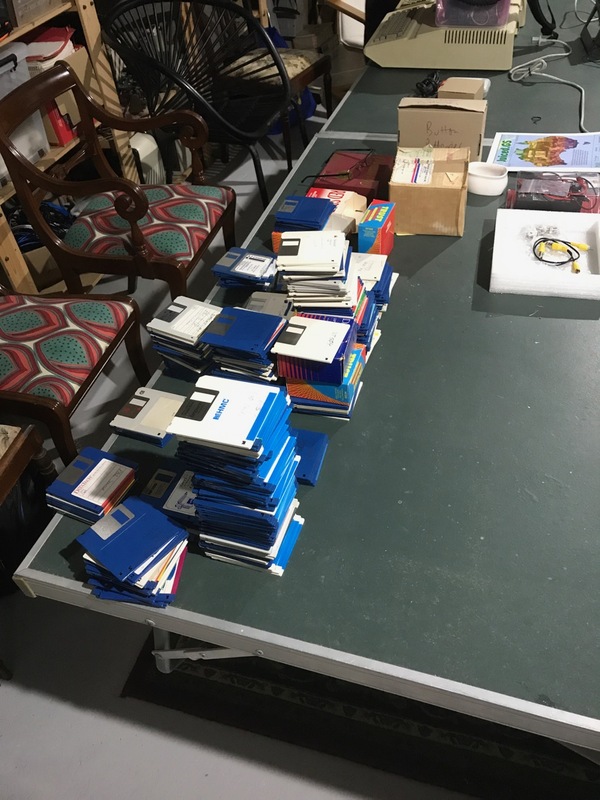 By the time of our first Skype at 13:00, we had about six or seven attendees – the Skype caller was Paul Hagstrom, of Yesterbits and the Retro Computing Roundtable. We had a good chat about his history collecting and preserving retrocomputers, and he had several impressively precarious-looking towers of computers all around him in his office. With a couple more attendees having arrived, our second Skype at 14:00 was with another American, John Morris, who has come to prominence on the Facebook Apple II Enthusiasts group recently as he develops Applesauce, a USB interface for the Disk ][ 5¼″ floppy disk drive which allows that drive to be connected to modern computers. John recounted his programming history and the motivations behind the Applesauce. It was exciting to hear about John’s plans for the device, and we got the lowdown on such issues as imaging speed (unprotected disks to .dsk file in under 11s! ), his new file format and the rationale for it (bit copy with more information than an EDD file, but at about a quarter of the size! ), and his discussions with developers of Apple ][ emulators and solid state disk drive emulators to support the new format. I think Applesauce is going to be in high demand – I know I certainly want one. At 15:00 we got to Skype with Terry Stewart from New Zealand about his history with retrocomputers and preserving them, especially makes and models particular to the Australasian market. Terry’s site has extensive information for use by retrocomputer enthusiasts, and his videos are always informative. Jon had organised our next Skype call as a product update – I didn’t have any direct knowledge of the content of the call, but I expected it to be with his Manila Gear partner, John Valdezco, and about their recently released No Slot Clock (NSC). It turned out, however, to be with John Brooks (so many Jo[h]ns! ), along with Michael Guidero, and started just before 16:00. John Brooks released a couple of ProDOS updates last year, the first in 30 years, adding new features and bringing a smile to Apple ][ enthusiasts’ faces around the world. He was able to tell WOzFest PR#6 attendees that he’s adding native support for any NSC (including the DClock) to ProDOS – it will automatically determine which clock is present – as well as native support for the Ramworks and RamFactor memory expansion cards (which should include the Apple //c RAM expansion card). 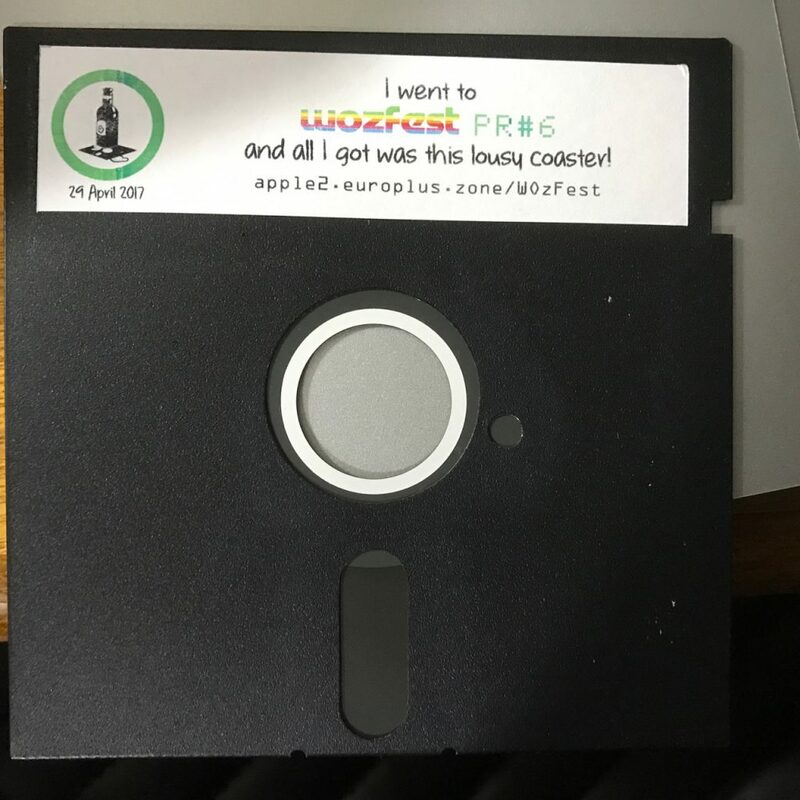 Other exciting news is that John is working on Bitsy-Rip, which, as described by John, “will make a digital image of 5¼″ disks, including copy-protected and failing disks. Bitsy-Rip uses the built-in IWM (Integrated Woz Machine) chip of the Apple IIgs to make EDD-like ‘complete’ disk images, but with no additional slot cards or hardware required.” WOzFest PR#6 attendees were lucky to get the first public demonstration of Bitsy-Rip at work, and it it feels like we’re entering a golden age of disk preservation between Bitsy-Rip and Applesauce. 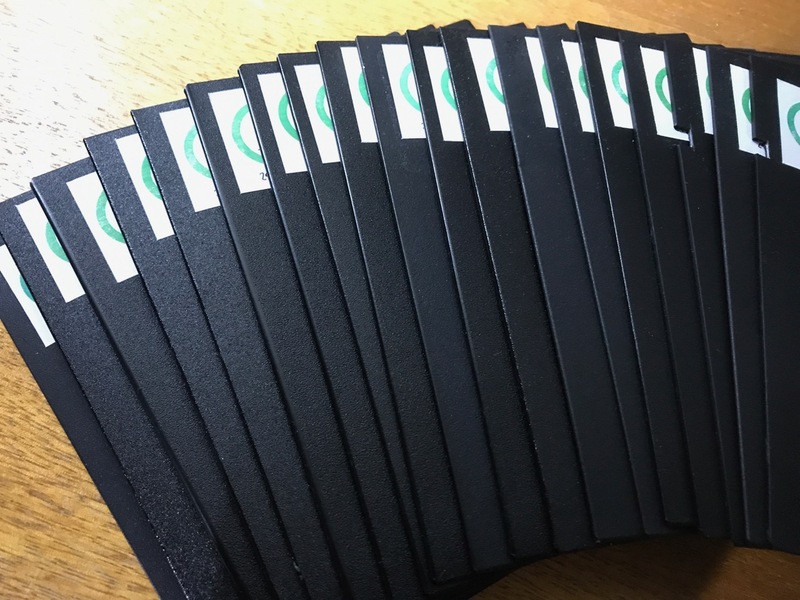 Michael Guidero has recently released new ROM versions for the Apple //c and //c+, which had been very favourably received by owners of those machines. 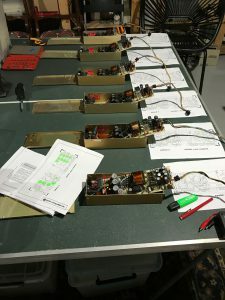 Leslie had arrived at WOzFest PR#6 with some EEPROMs burnt with the new version for attending //c owners, so Michael’s update was well-known to them, and they were able to relay their enthusiasm, questions and observations to him directly. We still had one final Skype call to receive – at 16:30, Jorma Honkanen, a well-known Finnish Apple ][ enthusiast, dialled in to have a chat about his own retrocomputing history and preservation efforts. Jorma relayed the difficulties he’s had securing hardware and software in Finland, where the Apple ][ was never as prevalent as in other countries like Australia and the U.S. and he told us he’s only been an Apple ][ enthusiasts for a few years – all of which makes the material he has secured and preserved, and his efforts, all the more impressive! 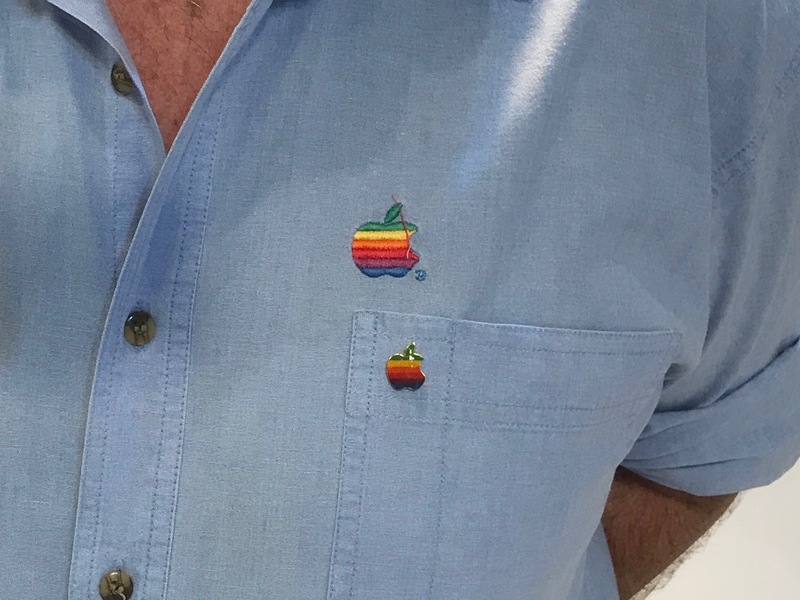 My thanks go out to all the Skype callers, who took time out from their Friday nights or Saturdays to chat with a bunch of Apple ][ enthusiasts in Sydney. That brought to a close the “organised” parts of WOzFest PR#6, and people returned to the projects they’d started, or started working through the projects they’d brought. We also snuck in a couple of pizzas a little later than usual as my wife had catered finger food snacks throughout the afternoon – the snacks were very enthusiastically received. Michael from the RCR podcast received a sheet feed scanner brought up by Jeremy, who drove up from Canberra again (what a trooper!). They then proceeded to work together to preserve a couple of software packages and associated documentation. One of those was Learning To Cope With Pressure by Sunburst Communications. The other title was Sandy’s Word Processor, which was an Australian Apple ][ title. Thanks Michael and Jeremy for your ongoing preservation efforts! Andrew worked on testing the capacitors in a Mac LC 630 PSU, and also sorted through a whole heap of 3½″ and 5¼″ floppy disks. On the manual labour front, he cut down plastic shells for the two ends of a IIgs VGA adaptor cable he’s been working on. Andrew also told attendees about the release of AFPBridge, by Stephen Heumann. 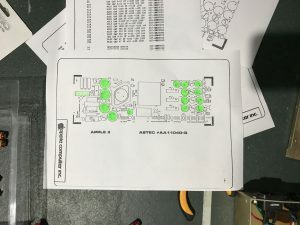 AFPBridge, to quote its own info pages, “is a tool that allows an Apple IIgs to connect to an AFP (Apple Filing Protocol) file server over TCP/IP. 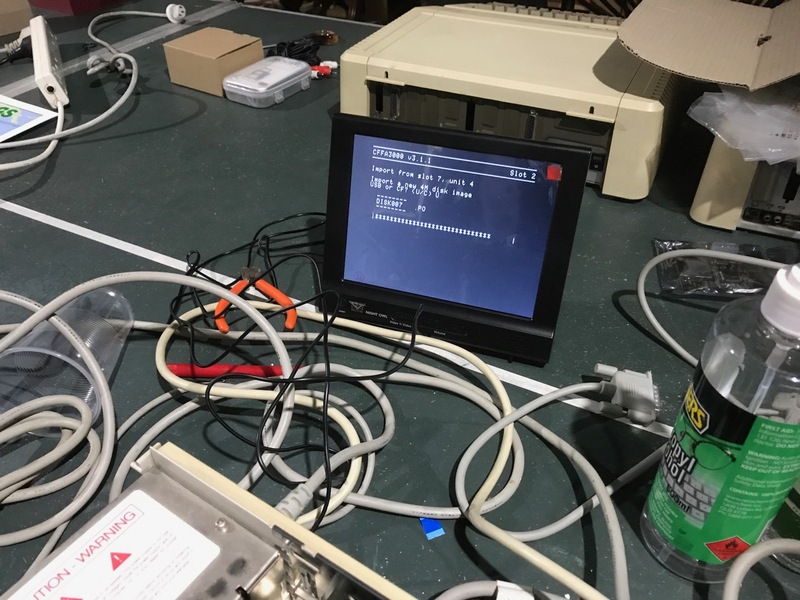 AFPBridge works by using the existing AppleShare FST, but redirecting its network traffic over TCP/IP rather than AppleTalk.” This will greatly simplify file server access for IIgs users with an Ethernet card in their machine. Craig worked on a few things throughout the day. Firstly, he, Leslie and David installed the new //c and //c+ ROMs Leslie had brought. The testing of them included installing an A2Heaven Apple IIc RamExpress II expansion card – the goal was to use this card as a battery-backed up RAM disk with the new ROMs. After a bit of work, David worked out the RAM card needed to be zeroed out using the new ROM’s tools before the RAM disk was then formatted by Copy II+. This then allowed the //c and //c+ to have a super-fast booting (2s), battery backed up 1MB RAM-based ProDOS disk. Craig was also keen on getting a G4 Mac mini I’d passed on to to him tested, his goal being to get it booting into Mac OS 9. I think an iBook G4 I had also passed on to him provided a proof-of-concept boot via Firewire Target Disk Mode. Jon worked on testing a pre-release copy John Brooks’ forthcoming ProDOS update with the Manila Gear NSC – this NSC will not only work with the Apple //e, but also the original Apple ][ and Apple ][ plus (and europlus, of course – my only currently operational europlus was used for testing this NSC) and the Apple //c and Apple //c+. Leslie installed the new //c and //c+ ROMs he had brought, and helped out with advice and help on other projects as well. 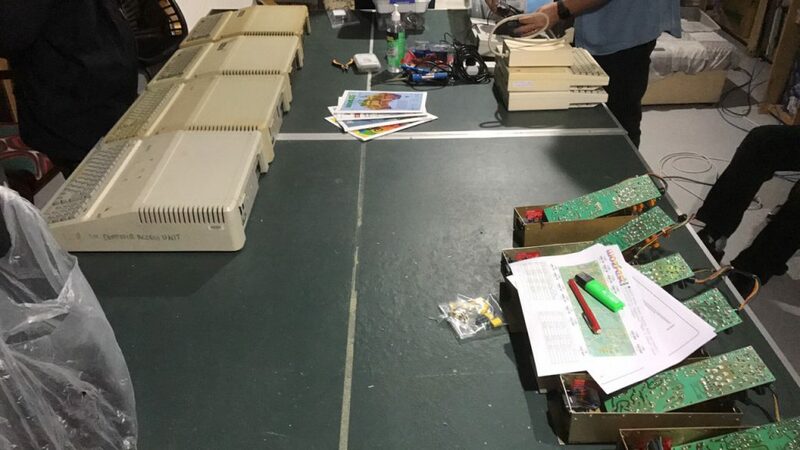 Tim had brought an interesting collection of Apple ][ expansion cards with him from Canberra – I’m constantly amazed and thrilled that attendees would travel so far. David also made the trip down from the Blue Mountains via public transport. Neville, who had provided the impetus to Hans Coster to re-release Caverns of Mordia, also attended – Neville had just that morning written about finding Caverns of Mordia, reaching out to Hans, and the resulting re-release of the software at WOzFest 5¼″ – it’s well worth the read for fans of preservation, digital archeology, and text adventure games. 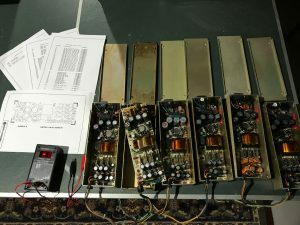 Neville’s project was to check on his IIgs and associated equipment, which hadn’t been powered on for some 20-odd years. The IIgs powered up first go, but the monitor wasn’t faring so well. He was able to use another monitor to boot up, which allowed him to check his “Cutting Edge” brand 100MB SCSI drive. After a bit of wrangling, Neville was able to image the four partitions on the SCSI drive to disk images via my CFFA3000 card. Each of the three main 32MB partitions took around half an hour to image! I believe there were a small number of disk errors while copying, but he’s since reported to me that the disk images have successfully loaded via the Sweet16 IIgs emulator. Throughout this project with his IIgs he was greatly helped by Jeremy, Leslie, and Jon. 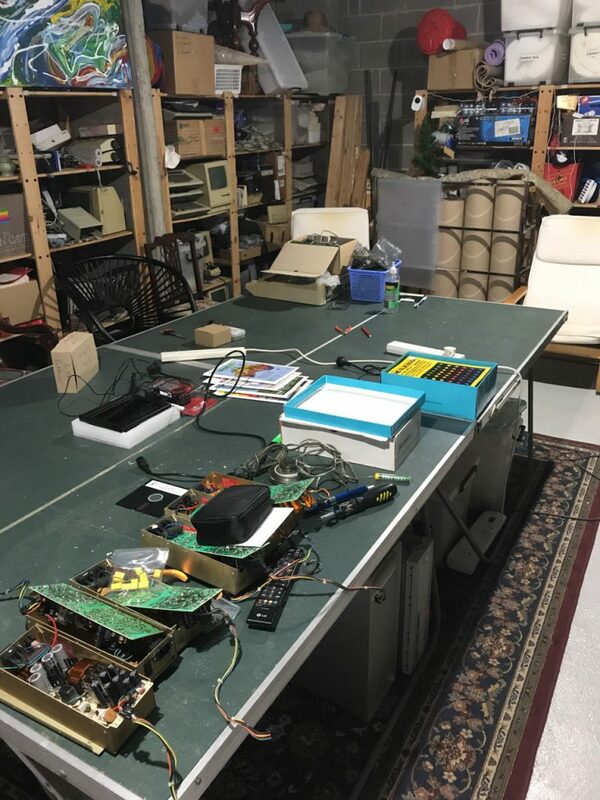 I was able to get rid of some of my excess computers and associated bits: two //e’s, several Mac minis, several laptops, an old Airport Express or two – but I still have more material to shift, so hopefully the disposal doesn’t slow down. Unfortunately, I didn’t get any scanning done with the book scanner, but I have it on extended loan for a month or so, so I’m hoping to get at least a few books scanned and I’ll post-process them later. 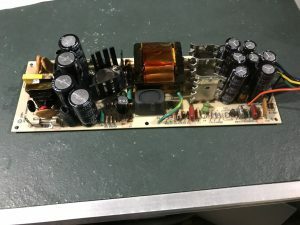 I was able to successfully replace the filter cap in one of my europlus PSUs and test it with my known-working motherboard – this as part of my Retrochallenge entry, and more details on that are in my wrap up blog post. Because the neighbours most likely to be disturbed by noise were away on holiday, we were able to kick on a little later than usual, and the final six or so attendees finished up their projects for the day and headed off at about 23:00. 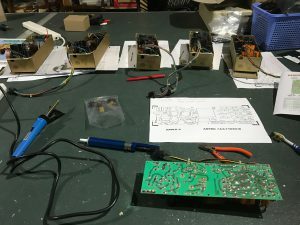 As usual, I’ve posted the WOzFest PR#6 photos galleries in a separate post. 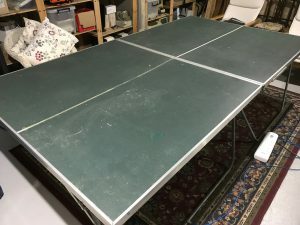 I know I’ve missed projects and attendees, but I can’t keep track of everything! I know some attendees come to just enjoy the vibe, some to see other attendees’ interesting items, some for the Skypes, and some to work on other people’s projects and share their knowledge and skills. 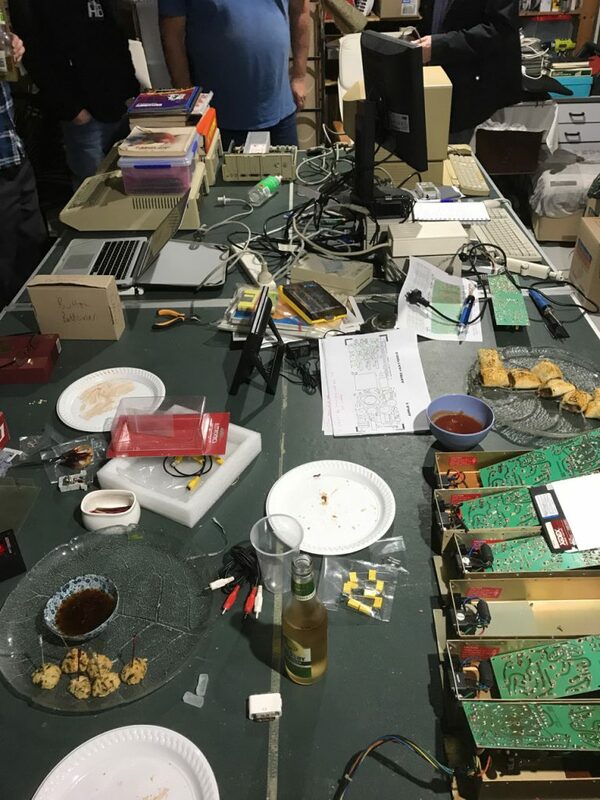 These various motivations for attending are what make WOzFest so much fun to host, and I can’t wait for the next one!